#1 advice to youth pastors. Those words have stuck with me over the past year, but I can’t imagine what those words will truly mean until years from now. As a youth pastor you will have too many “good” reasons to quit. Everything from budgets to a confrontation with your senior pastor. Did I mention that rally of leaders or parents that question you, or are against the way you are doing things? These are just a few reasons why we get tired in the game and giving up could be so enticing. Don’t do it. Every hard conversation, budget dollar you spend, sermon you preach, leader you recruit, and vision casting moment… you are gaining ground and creating forward momentum. Don’t let that one thing that is currently bringing you down right now be the deciding factor in quitting your position and moving on to another church or ministry where you will face similar things. Learn to stick up for yourself, your ministry, your vision and put the time in. Keep short accounts and seek reconciliation. What kind of student ministry would your church and families benefit from if you remained their leader for the next 5 years? 8 years? 15 years? A good leader demonstrates great abilities. A great leader empowers the abilities within others. If you do not learn this and act upon it you will be consumed by details and will be stuck right where you are at. Once you have reached capacity of what you are able to handle and I’d argue well before that, you need to learn how to extend your ministry to others. Learn how to give it away. I am fully capable of calling and talking with all the parents represented in my ministry, and perhaps once a year I may attempt to do that. With 17 small groups, and around 175 students representing 350 parents I cannot simply pick up the phone and make a personal phone call. This past weekend I passed out our current rosters and made the ask. I asked each small group leader to call down the list of names represented in their small group and help spread the word about our summer mission trip opportunities. Instead of calling 350 parents this week I intend to send one email and let those closest to the students call the parents, the small group leaders. Yes, I am leveraging the leadership I have… so that my entire team can carry the weight of responsibility we have been given. When you empower those around you, there is more buy-in to your mission, more attention given to where its currently needed and you are less likely to burn out! Work smarter not harder. This is in response to a former article I wrote on DIY Student Ministry. This is the eighth of ten areas that I’m covering in this series. I’ll make this one short and sweet. You don’t need to do all of the shopping for your ministry. There are plenty of leaders and parents out there that are willing to swing by the store for you, just ask. Get away from do-it-yourself student ministry by delegating to others, allowing them to be a piece in the process of pulling your program or event together. Bringing others into your supply run outings can bring great benefits. Ask another leader or parent to do your supply run. Encourage leaders to take students with them, it’s a great time to build community. Have a supply list prepared, more time is wasted in the store if you don’t have a list. Understand your method of payment and how reimbursements work at your church, be up front with your leaders/parents and make sure they get their reimbursement. Amazon Prime – Free two day shipping on most items, delivered right to the church. Eliminates the time and money spent on an outing to the store. The dollar store…hidden treasures await you and your students. Old stuff in your youth storage space, you haven’t used this stuff in a year. Get creative with supplies you already have or bring back an old game. Subscribe to lifeofayouthpastor in the top right corner of this page, pass the homelink on to friends that might benefit from these postings. Thanks for reading! Are you prepared for the attack? Perhaps the best time to buy or rent a house is after a storm. A heavy storm. You can see where the house leaks, where it is weak and vulnerable to the attack of the elements. It’s a full house here in NYC and after the big storm last night this truth is all too fresh for my wife and I – we woke up to standing water in her parents basement. Thankfully, everything is okay and after many loads of laundry and a few laughs we are getting ready for the day. Now, you don’t usually get to call upon a thunderstorm right before you sign a lease or give a down payment, but soon enough the storm will come. 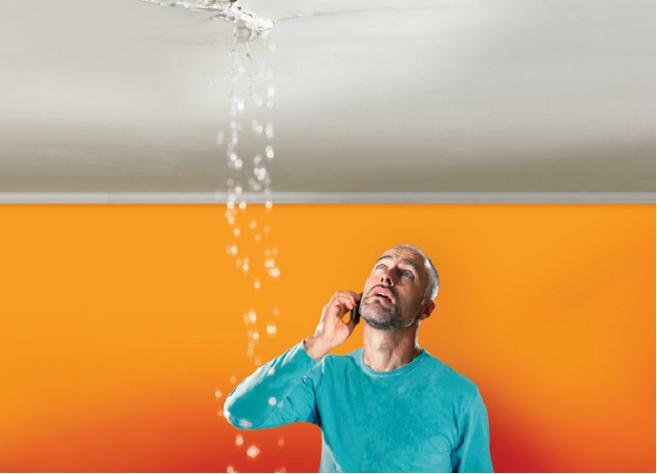 When water starts appearing where it shouldn’t you find yourself on the hunt for leaks, seeps, drips and drops. Finding the source to the weakness and point of attack is crucial. If you do not find the source, or the initial point of attack, you can count on that specific leak coming back with a vengeance, causing more damage than it did originally. This is a reality that every pastor or youth worker should understand. Let me explain. Six months ago I inherited a youth ministry. While I would not consider myself “owner” (that’s God) I do feel very responsible to be a good steward of what He has entrusted to me during this season of life. This ministry has endured a few storms- both prior to my coming and since my arrival- and I have had the opportunity to see its true colors, those areas where it is vulnerable for attack. Now, let’s go back to this morning. My wife and I wake up to standing water. Quickly we react- find a bucket, a towel, a shopvac, anything to maintain the leak and clean up the mess. But we don’t stop there; we search for the source of the leak. Once found, would it make sense to ignore it and go back to sleep? No. After doing damage control one should repair it, patch it, and reinforce it. We need to ensure that water is not going to seep in through that crack ever again. While water was our enemy this morning, each day every one of us face a craftier enemy – Satan. Whether it be people- students, volunteers, fellow staff- or a personal struggle, I guarantee that you will endure attack from the enemy on every level. Your ministry will encounter strong winds, thunderstorms, and possibly a hurricane now and again. Stand your ground. Build your ministry to be ready for the attack. Do not inflict more damage by confusing the damage with the source of attack. I cannot be more straightforward than this: too many times we are quick to blame a person or focus on a current problem rather than searching out the source. Yes, humans do give into temptation, people say mean things, and as a leader people will follow you or rally against you. Perhaps a moral failure will cause dissension in your ministry or even a dark secret revealed will void the return of one of your all-star volunteers. We must remember that Satan is the tempter, the schemer, the one who is unseen and desires to stay unseen. He is plotting us against each other and aiming to tear us apart. Don’t forget your source of attack. You determine how others react. As the leader, people will mirror your reaction to the attack at hand. What you say will be repeated and how you handle the attack will show your team how they should handle the attack. If you have to reveal a weakness or problem area to your team, do so in such a way that points back to the enemy and reminds them that you have hope for the situation. If you do not respond well you may as well pour salt on the wound. Victory has been promised. Despite the attack, hold on to the hope we have. Perhaps at times I am too eternally focused, letting the present pass me by. However, there is much hope found in our future as the Church. The enemy will be defeated once and for all – we must consider him as that, a loser. Shedding light on this hope and helping your team think this way can help get you over the hump and past the situation at hand. Spanning thousands of years, your attack is one of many skirmishes on a battlefield of millions. See the unseen. You must always be aware that you will often be unaware – you cannot see everything that takes place. I often pray for Elisha goggles! 2 Kings 6:17 – And Elisha prayed, “O Lord, open his eyes so he may see.” Then the Lord opened the servant’s eyes, and he looked and saw the hills full of horses and chariots of fire all around Elisha. Asking the Lord for wisdom, discernment, foresight, and processing skills is incredibly important. Pray for these things when you encounter attack or are trying to prevent one. Never underestimate the power of asking for these things.